So I've got no money, and I've got no pain. Got no loving, but I ain't got no shame. Peter Cat Recording Co. (often shortened to PCRC, and inspired by a Murakami reference) is a gypsy jazz/cabaret rock band that comes from New Delhi, India. It started as the solo project of Suryakant Sawhney (vocals/guitar/organ) in 2009, when he was studying in San Francisco, California, but now includes three additional members: Rohan Kulshreshtha on bass and electronics; K.S. 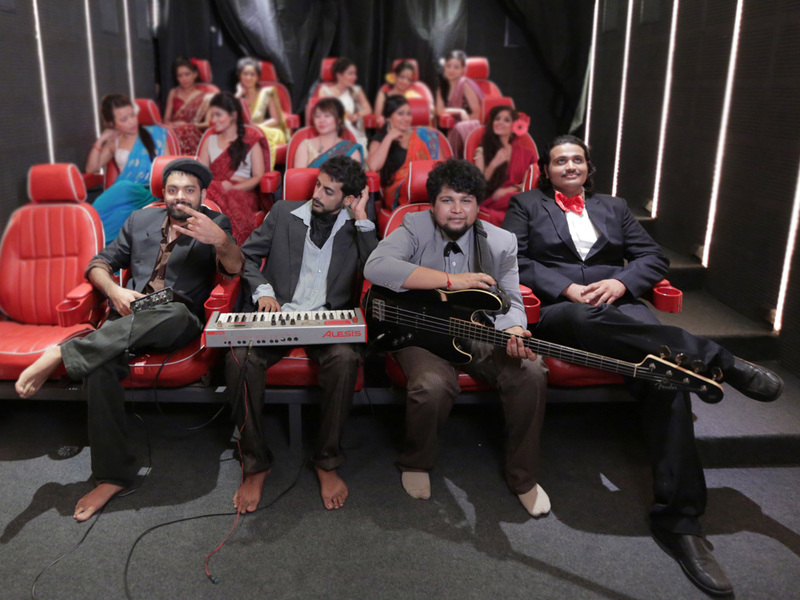 Pillai on guitars, keyboards, and electronics; and Karan Singh on drums and harmonium. In 2010, the full four-piece band began playing numerous college festivals. They also played the finals of NLS Strawberry Fields (the prestigious annual music festival of the National Law School of India University, Bangalore), and released their debut album Sinema in January 2011 to wide acclaim. Eight songs in length, Sinema’s sound is heavily inspired by everything from classic Bollywood motifs (“Wear Down Stall”), to American big band (“The Clown on the 22nd Floor”), ballroom waltz (“AndroJean”), 1960s psychedelic rock (“Tokyo Vijaya”), and British indie rock (“Happiness”). Amid the wave of critical praise, Radiohead and Nirvana producer Miti Adhikari highlighted them as an act he would love to produce. Their live show straddles the line between performance art and musical salvation, encompassing backdrops of iconic Bollywood film sequences and musical samples, bullhorns, deftly controlled vocal histrionics, and long instrumental passages; building and collapsing around what are often two hour sets. In 2012, PCRC put out a 14-song release entitled Wall Of Want. It’s a precursor to their second LP, and is a lo-fi collection of old tape experiments, self-destructing loops, and brief laptop recordings.